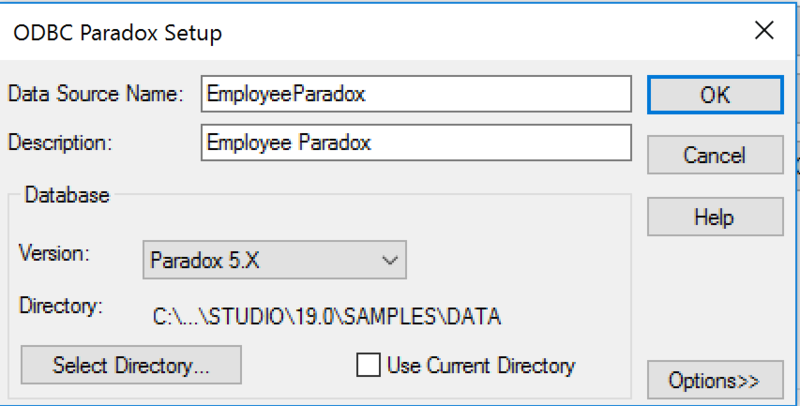 Access the Paradox Engine using C++ class objects. use or disuse of this library. PXOBJ - Abstract base class for the other PDXPP classes. PXRECORD - Operations with record transfer buffers. Returns the table handle of the object. Returns the error code of the last operation on this object. This is a Paradox Engine error code. describing the result of the last operation on this object. of Result() or ErrMsg() to determine the cause of the error. associated table to be closed. the index and saveEveryChange parameters. the table will be opened. Be sure to test for success. buffer which namestr points to. Returns the number of records in the table. Returns the number of fields in the table. Returns the number of key fields in the table. Tests whether the table has been changed. Places a lock of the specified type on the entire table. Returns the Paradox Engine error code (0 = success). the Paradox Engine error code. the PXTABLE class or the PXRECORD clas, so use caution. Returns the Paradox Engine result code. the PXTABLE class or the PXRECORD class, so use caution. caution. Returns the Paradox Engine result code. data at different times, so use with caution. number. Returns the Paradox Engine result code. object of this type for each field you wish to access. PXTABLE object and the name of the field. table handle and the name of the field. Returns the field handle of the object. length of the buffer to which points. Tests if the field value for the current record is blank. maximum size of the buffer to which points. buffers. At least one is required for most table operations. Creates a PXRECORD object for the specified table. Creates a PXRECORD object for the specified table handle. Creates a PXRECORD object from an existing PXRECORD object. buffer are copied to the new object. of the table. Returns the Paradox Engine result code. transfer buffer. Returns the Paradox Engine result code. the Paradox Engine result code. PXTABLE class or the PXRECORD class, so use caution. Returns the current record number. a PXFIELD object. Returns the Paradox Engine result code. structure of the tables must be identical. destruction of the object or by using the Unlock() method. Places a lock on the current record in the specified table. Returns the lock handle of the object. Moves the current record pointer to the locked record. necessary to include PXENGTCL.H as well. Appendix 1: Paradox Engine Functions not represented.